The Old Surry Village School was first opened on December 19, 1872. Considered modern for its day, it was built by Jesse M. Ray for $2,000 and was designed featuring large glass windows on three of its four walls, with the length of the building facing east. The building functioned as a school for 80 years, until 1952. Some students who attended the school still reside in Surry. From 1958-1986, the school served the town of Surry as its firehouse. In 1986 its deed was passed to the Women’s Auxiliary who used it as a community center. When the Women’s Auxiliary was no longer active in 2014, the group deeded the building and land back to the town of Surry. The town organized the Old School House Committee in February 2015 to take responsibility over the building and its activities. Presently the building is vacant as the town decides how it could continue to serve the community. There is expressed interest in continuing to use it as a community center. The building has much of its historic integrity. 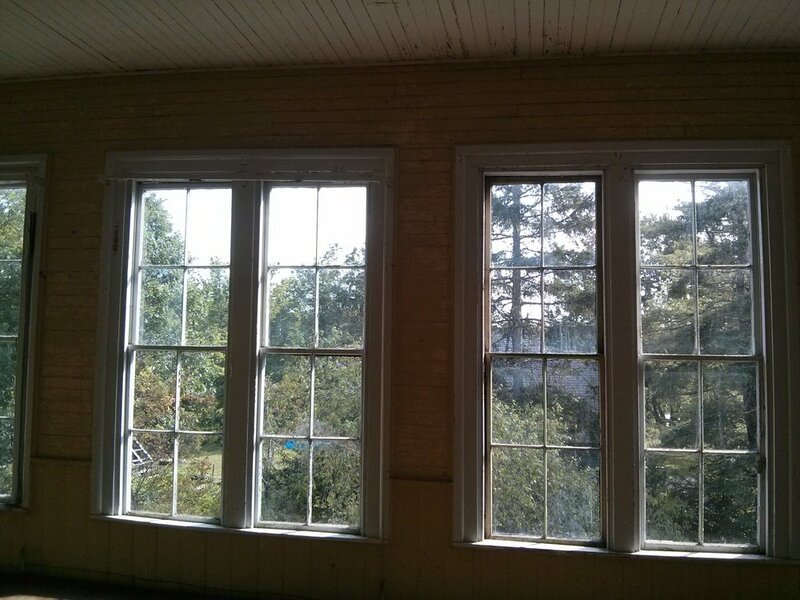 It still has the blackboards on the walls when it was used as a school and its original windows. The most major change is the replacement of the wooden floors on the first floor with a concrete slab and new doors. Despite continuously serving the community of Surry for over 140 years, potential demolition of the building is a major concern. For continued public use, the building must be brought up to code. The initial bids for the town for work are quoted at over $700,000 which has raised the question of whether the building repairs would cost too much for the town. Since the building is presently vacant, there is also increasing pressure on the town to find a use for it. Presently, the building is under threat of demolition via a training burn. At the September 1, 2015 Surry selectmen meeting, the town postponed the decision, under the condition that further movement toward a preservation plan and fundraising is maintained. Many communities that have demolished buildings without a plan in place for the land have found themselves with vacant non-revenue producing land for years. Since the passage of the State Historic Tax Credit in 2008, over a third of a billion dollars ($340 million) have been invested in rehabilitation of significant historic buildings, ultimately driving community revitalization across the state. At the September 1, 2015 Surry selectmen meeting, the Old Surry Schoolhouse Preservation Group was organized in an effort to develop a preservation plan and fundraising efforts for the building. With the plan must also come a future use for the building. 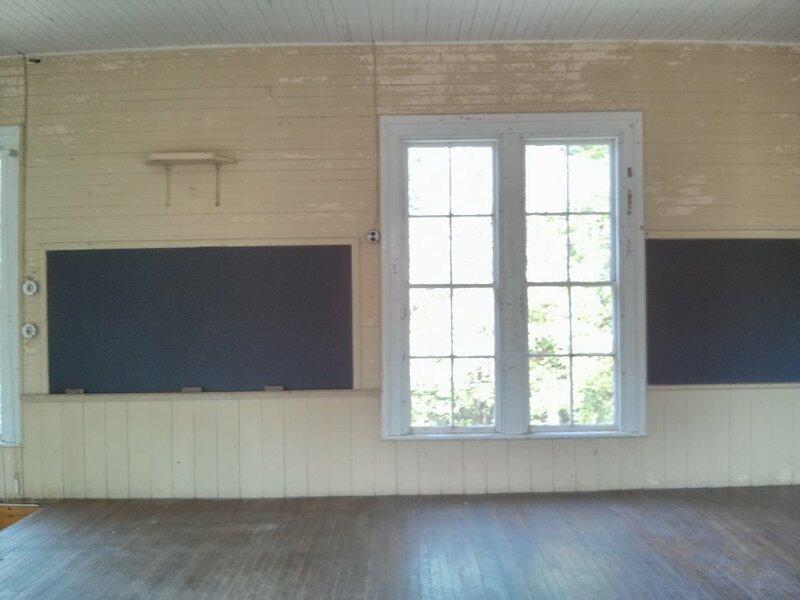 There is an expressed interest in using the schoolhouse as a community center again for community events and meetings or even use it as a market. It is located at the junction of ME-172 and ME-176 and has a high visibility from the street, providing a great, prominent location in the town. The group could consider its potential for resale for adaptive use, which if income-producing, could use historic tax credits. Residents interested in saving the building are asking for more time to reassess its condition and value, make a plan, and raise the needed funds.